Brazil is one of the most colourful and exotic places in the world and teaching in Brazil gives you the perfect opportunity to experience South America’s biggest and most fascinating multicultural society. Teaching Abroad at a British International School in Brazil. Teach Abroad at a British International School in Brazil - Maths Teacher Brazil August. Are you looking to teach in Brazil?? Teaching in Brazil offers you the chance to experience South America’s biggest and most fascinating country. 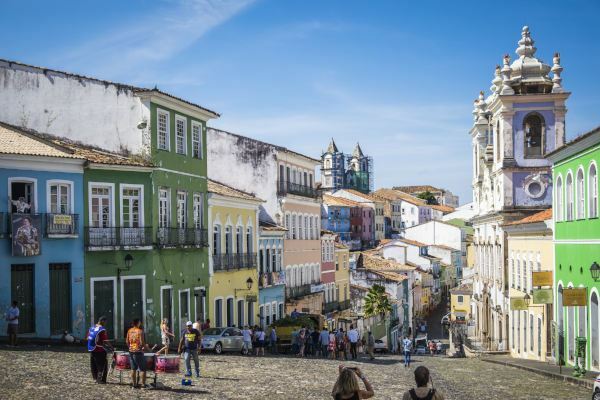 With multicultural modern cities, stunning geography and friendly people, working in Brazil is a great way to put new opportunities right on your doorstep. Teaching salaries vary in Brazil and can range from around £1,000 to £2500, per month, depending on the school you teach at. Those at the higher end of the salary scale tend to work in international schools. Additionally, most schools offer free housing or a housing allowance. Some teachers also take advantage of working abroad by renting out their UK homes. The main source of employment for those wishing to teach in Brazil is in international schools. These cater for the children of ex-patriot workers who are based in the country and tend, therefore, to be found in the bigger cities. International schools usually have a curriculum that is aligned to a specific country; for example, a British international school will teach the National Curriculum. Many of the international schools in Brazil are American and offer a US curriculum. International schools attract expat pupils from many different countries as well as Brazilian pupils. The British College Brazil, in Sao Paulo, for example, has children from 35 nationalities. Another source of employment is working in private language schools. These are privately run schools which teach English as a foreign language (TEFL) to Brazilian and other nationalities. Teachers who work in private language schools will be required to teach adults and children and work evenings and weekends. Brazil does have a state school system; however, you would need to speak fluent Portuguese in order to work in one of these schools. There are some bilingual state schools which teach a range of subjects in English. UK teachers often favour British international schools because they are like the schools at home and because most teachers are from the UK. However, American international schools have a similar curriculum and much of the subject content will be familiar to UK teachers. In addition, most school will require 2 - 3 years’ successful teaching experience. If you are applying for a position as a principal or headteacher, schools will expect a recognised leadership qualification, such as an NPQH. You may also need an M.Ed. or Ph.D.
To teach English as a foreign language in a private language school, you should be a native or fluent English speaker and have both a bachelor’s degree and a recognised TEFL qualification. Brazil is an enthralling country. Home to the Amazon River and rainforest, it is the most biodiverse place on Earth. It’s also the largest country in South America and hosts the world’s biggest and most famous festival, the Rio Carnival, which attracts over 2 million people every year. Visitors to Brazil will find it has a rich and diverse cultural heritage. There’s a vibrant mix of indigenous peoples as well as those of European, African and Asian origin. It’s a country of music, of dance, of food and, of course, of football. 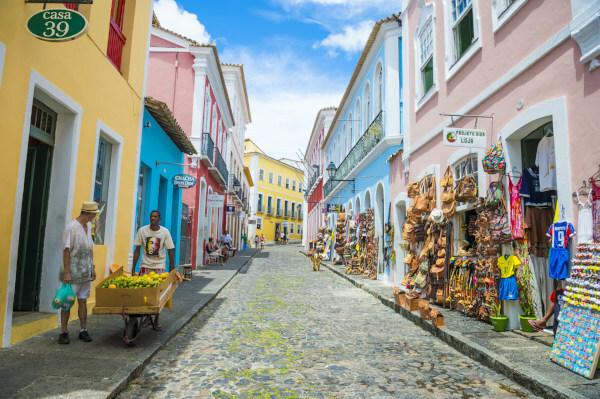 Living in Brazil offers lots of opportunities to discover this amazing country, whether that’s getting to know the people and the culture, exploring its fantastic landscapes, taking part in the wide range of activities on offer or chilling out on one of its sun kissed beaches. Those who move there will find it a very affordable place to live: UK consumer prices are 40% higher than in Brazil. Groceries, utilities, eating out, transport (including taxis) and clothing are all considerably cheaper than at home. According to the UK Government, nearly 200,000 British citizens go to Brazil every year and most trips are trouble free. The country is predominantly Roman Catholic in religion and, like all countries, it has its own laws, customs and traditions which you should respect at all times. As a tropical country, visitors going to Brazil should ensure that they take necessary precautions against diseases, such as malaria, that can be contracted in hot countries. Before accepting a teaching post, you should always check the UK Government’s travel advice page for Brazil. Employment. Once this has been approved, you then need to apply for a work visa at the Brazilian embassy in the UK. Teaching contracts in Brazil are usually for two years. This will give you plenty of time to experience many of the wonderful things that Brazil has to offer. You’ll get the chance to make new friends, explore new places and take part in experiences you’ll never forget.